It took me a weirdly long time to get around to watching this. Seriously, it came out in what, February? Yet I didn’t get around to watching it until December and I’m not entirely sure why. After all, I loved director Alex Garland’s previous work, Ex Machina and I thought the trailers for this looked fairly intriguing. Still, I did watch it eventually. And did I enjoy it as much as I expected? Well… I did like it. Wouldn’t quite say I loved it as much as I was hoping to though. Honestly though, there is a damn lot to like about this movie. For one, the visuals are excellent with a lot of genuinely fucked-up or just plain surreal imagery. Special mention should go the fucked up skull-bear and Natalie Portman’s weird doppleganger, both of which contributed to some of the most memorable moments of the movie. The acting is also pretty solid across the board and the writing handles a lot of complex ideas, while also being relatively easy-to-follow in regards to thematics and messaging. And when it’s being difficult/confusing to follow, it’s difficult/confusing in a good way. However, I think the ultimate problem I had with it was the direction, which struck me as very clinical and slightly flat. And, to be fair, I thought the same thing about Ex Machina, by the same director. But in that movie, the clinical nature of the direction actually really fit the story being told and helped add to the atmosphere and tone. And while that’s arguably also the case with some of the moments in this movie as well, others feel like they could’ve used a more exciting or energetic hand and, as a result, the movie did feel like it dragged at points. 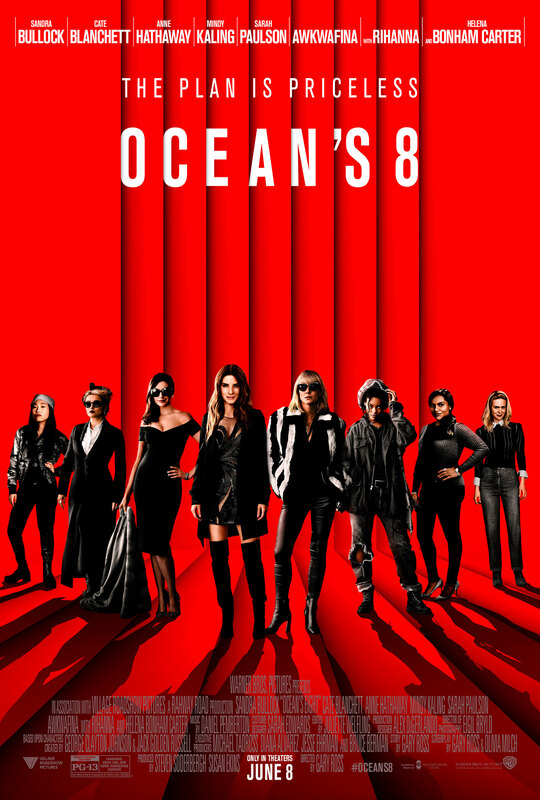 This is one of those movies where I don’t really have an amazing amount to say about it, since it more or less does what it says on the tin, but considering both how much I generally don’t care for the Oceans 11 franchise and the lukewarm reviews this got, I was surprised by how much I honestly enjoyed this. 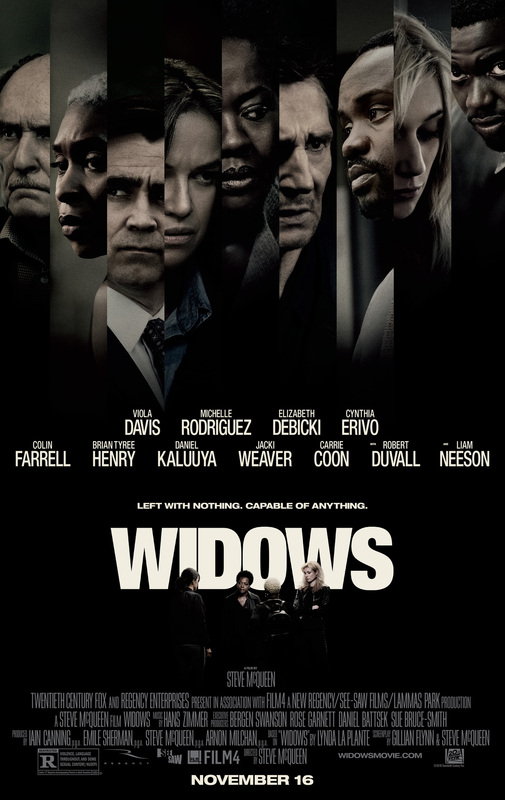 It didn’t reinvent the formula for the heist movie or anything, but it was a fun turn-your-brain-off movie that never seemed to drag. Plus I loved Sandra Bullock and Cate Blanchett’s chemistry. 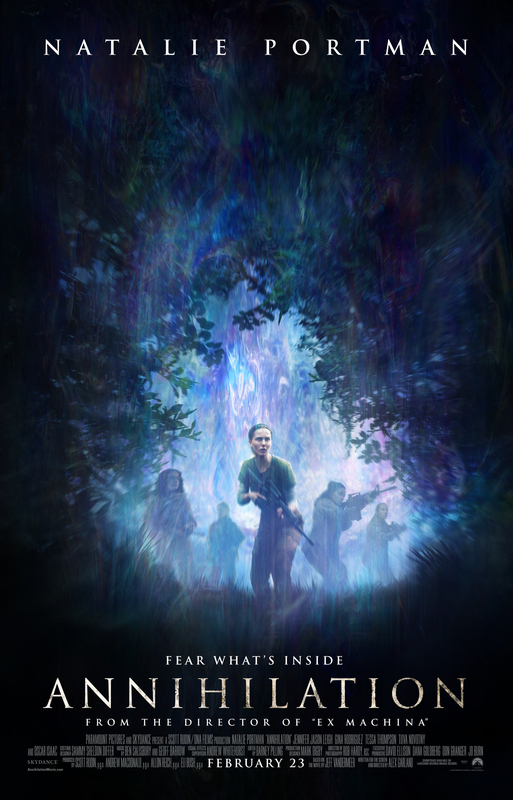 Honestly, it’s not a movie I’m exactly going to rave about with great passion to anyone who disliked it, but I never felt particular bored during the runtime, I liked the characters and the action and I walked out the theatre feeling relatively satisfied. And that in itself is quite an achievement. I’ll admit, this movie was kind of interesting to me. 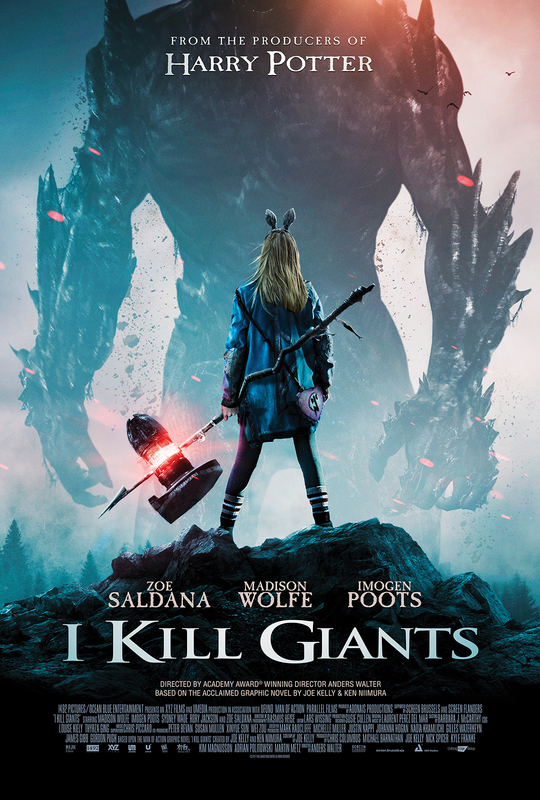 For those unaware, I Kill Giants is an adaptation of the graphic novel of the same name about a troubled girl, Barbara Thorson, dealing her family issues by retreating into her own fantasy world of giants and harbingers and so on. It’s honestly a fairly good read, even if the main character is somewhat obnoxious (albeit deliberately so and you can see why she’s acting out.) but I wasn’t expecting too much from this adaptation aside from a diluted version of the original version. Yet weirdly enough, I actually kind of think this film did some things better than the original comic book. Admittedly, it also did some things a lot lot worse, but that’s kind of par for the course in regards to a cinematic adaptation like this. The thing is, the switch to live action really does help a lot in showing how unhealthy and strange a lot of Barbara’s actions and coping mechanisms are in the first two thirds or so. They were already somewhat unhealthy in the original comic book, yes, but the nature of the comic book medium and its tendency towards strange and fantastical things means that it really doesn’t come off exactly as weird as it probably should. But, in live action, on the other hand? A lot of the thing Barbara does to ‘hunt giants’ really does come off as a lot more unsettling and unhealthy than in the comic book, which I felt really helped with what the story was trying to convey. The actor playing Barbara in particular was excellent, managing to mix the character’s snarkyness with her conflicting emotions perfectly. In fact all the actors in the movie did their jobs pretty well. Unfortunately, where the nature of live-action doesn’t help (in large part due to budget most likely) is the action, especially the climax. Without giving away too much in the way of spoilers, in the comic, Barbara spends the climax fighting the Titan, the mightiest of giants, in a confrontation that’s just as much symbolic and meaningful as it is an actual fight. It’s probably the biggest and most meaningful scene in the entire story and the key upon which the entire emotional arc rests on. And here the format of the comic really helps as you can see Barbara clearly putting her passion and all into each and every blow leading to a conclusion that’s equal parts awesome, bittersweet and heartwarming all in one. In the movie, however, it’s done with bad CGI and over in about one hit. And while, like I said, a large part of that is probably due to budget, it does mean that it loses a lot of the emotion and catharsis of the climax in the original comic which, since said scene was so important to the overall story loses it a lot of points in comparison. Still, as far as adaptations go, this was a pretty solid one. It keeps to a lot of the similar beats of the original story while translating it effectively for film and honestly outright improves on some of them. It has a clearly grimier and darker atmosphere than the original that I felt really worked in its favour. And even the lack of catharsis in the climax is something I’m more inclined to blame on a lack of budget that any real incompetence on the filmmakers part. So if you read and enjoyed the original comic, I’d say maybe check it out.